I know, I know…only 3.5 stars yet still on my favorites list. There are reasons for both, trust me. 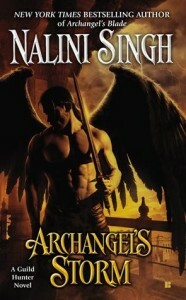 Archangel’s Storm is the fifth book in Nalini Singh’s Guild Hunter series. This time around, we focus on Jason, Raphael’s spymaster, how he meets his mate Mahyia and…a few other things. In the third book of the series, something happens to Neha’s daughter (one of the archangels) and has to be terminated by Raphael. While reading that plot line back then I was quite lost by it and wondered what it had to do with anything because it did not fit with the rest of the storyline at all. Well, we see why that happened back then in this book so although it took two books for it to make sense, I felt good that I finally understood. Jason is dark. Yes, I am aware that all the men in this series are dark, but Jason is extra dark. He is cool and subtle. I loved how Nalini didn’t compromise Jason’s character just because he was falling in love. Seriously, he is one serious and quiet badass…and that stays the same through the entire book. Even when he does ‘declare’ his feelings, he does it in a very private and subtle way. 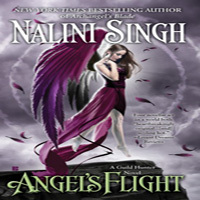 I always like it when an author stays true to her characters and in this case, Nalini certainly did. How do we learn about such a closed off character? Through flashbacks of course. We get a lot of flashback memories from Jason and I did find them to be very well done. I find it really was the best way to find out about his past seeing he is not the sort of person who would go around blabbing about his childhood and so on. I really enjoyed Mahyia – even though it took me forever to decide how to pronounce her name while reading lol. (I finally settled on Maya) Jason needed someone who understood that he was not going to change a whole lot…ever. He also needed someone who was not afraid to love him because yup, he’s pretty damaged. Mahyia is just that person. She has not had an easy life at all yet she kept her positive attitude even when it would have been easy to just give up. She was great and a wonderful match for Jason and I look forward to seeing her in future books – assuming she’ll be there. The style and tone of this series is a little on the slower side. It’s more lyrical and more subtle in its feel. I am ready for this when I crack open one of these books, but I found that this time around it was too slow. I felt like skipping pages just to get to it but I didn’t because I knew I would most likely miss something important. The romance didn’t happen until a bit into the book but that didn’t really bother me – it was how slow the entire story played out. Another little tidbit that I feel didn’t quite work in this book was the side story about Dmitri and Honor. It’s a great side-plot but I think it would have worked better in its own short story or something like that. I usually like knowing where the hero and heroine of past books end up but plugged here and there in this book, it just felt more like an interruption to the main story line and it made me want to skip those chapters so I could get back to Jason’s story. Again, I didn’t skip it. And even if I would have skipped it I would have gone back and read all the Dmitri parts later, so stop looking at me like that. There is a mystery plot in this book and it was very well done and kept me guessing until Jason and Mahyia spelled it out for us. All in all, I did enjoy this book. I just found it very slow going. But I still love these characters and am still planning on reading the rest of the series. In fact, I already have September 3rd 2013 marked in my planner as the day the next book comes out. Book six has no title yet but we do know it’s going back to Elena and Raphael as the main couple – and that’s a good thing because they are great together. 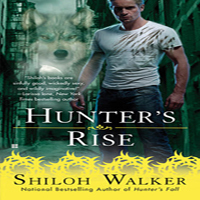 Share the post "Review: Archangel’s Storm by Nalini Singh (Guild Hunter #5)"
I have this book on my TBR shelf, but I have no idea when I’ll get to it. I feel like I need to re-read the previous books because I don’t remember details. Great review! smiles…. *groans* Flashbacks? *whines* I hate when a book is filled with flashbacks. Oh well. It will be on my TBR list but it doesnt sound like I should be in a rush to run out and get it. I really enjoyed the feel and pace of this one. The slowness didn’t get to me – I was so wrapped up in the mystery. Normally I like more steam with my romance, but this one was perfect for the story. I do agree with you about Honor and Dmitri… I think it ruined the flow of the story. I’m planing to read this one soon, hopefully I won’t find it as slow paced as you did. twimom – Dmitri and Honor would make a great novella! Bookaholic Cat – I’m curious to see what you’ll think.